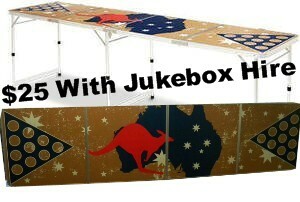 Beer Pong Table Party Hire Perth Includes Balls. 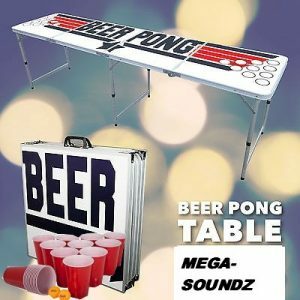 Beer Pong-No other party games are as well-known and well-liked as beer pong. It’s not just a party drinking game! It’s a game of skill and a little luck, and it can be enjoyed by just about anybody! When hired in combination with one of our superb jukeboxes it guarantees you’ll end up with a great night for all. 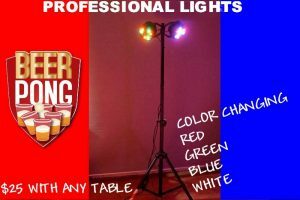 Popular for Bucks nights, home parties and corporate events. 8 FT PROFESSIONAL BEER PONG TABLE INCL BALLS. Tables $49 Each Incl Balls. 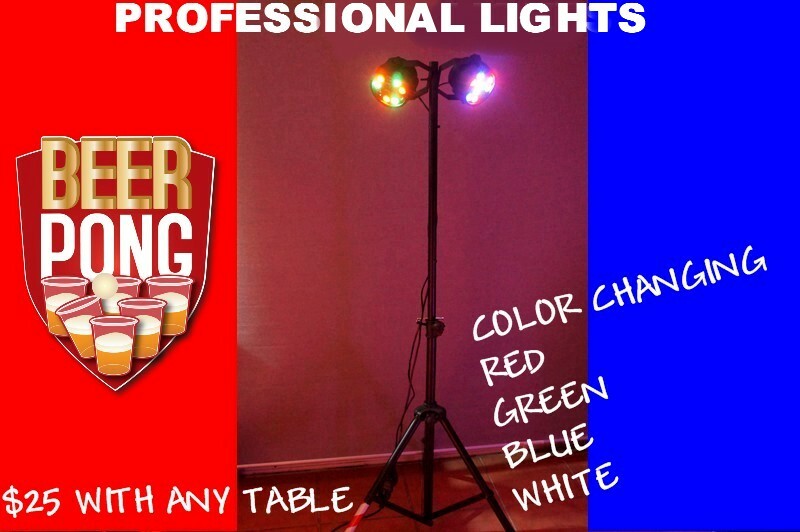 $35 Each When Hired With A Jukebox Music Or Karaoke. Here is a reference on how to play Beer Pong. The team that starts the game is determined by a coin flip. Take turns in throwing your ping pong ball into the opposing team’s cups. You have your turn throwing the ball and then your team mate has their turn, then the opposing team will do the same until all of the cups have been removed/consumed from one side of the table. The first team to eliminate the all the cups is the winner! !